With more snow expected, be sure before you head out to work in the morning that you clear more than just your windows. According to Facebook posts by Yakima Valley Emergency Management and Yakima Police, scraping and clearing snow and ice from your car windows is not enough. Snow on your hood can blow up and block your vision while driving. Snow on your roof can blow off as a sheet and blind the driver behind you,making hazardous conditions even more dangerous.. Snow covering your brake lights and turn signals make you a hazard on the road. If you drive a newer car you need to clear snow and ice off your car’s sensors and cameras in order for them to work. Do you know where your car sensors are? Many cars have sensors in the grille, around the windshield, on the bumpers, and below side mirrors. Don’t be that guy. Take a moment and sweep off the snow on your hood and roof. Also make sure your brake lights and turn signals are not obstructed. Probably a good idea to clear your front and rear license plates. No reason to give the police an excuse to pull you over. Being safe on the road also means you should have adequate car insurance. Sure, the law says we must carry liability insurance. Liability insurance covers damage to others for which you are responsible. But what about you and your passengers? First thing you should add is Uninsured Motorist (UM) coverage. 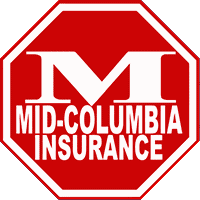 With UM, your insurance company will cover you if the guy who hits you has no insurance or not enough insurance to cover bodily injury to people in your car as well as your car.